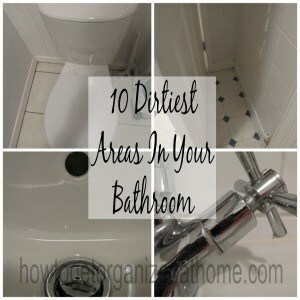 I’m obsessed with germs in the bathroom and I will clean if I think there’s the possibility a germs lurking in any area. What freaks me out is the thought of a germ lurking, growing and breeding making my family or even me poorly. If it means that I spend a few minutes a day wiping down surfaces or bleaching an item then I will, just to give me peace of mind. I was quite shocked when researching some of the areas that have the highest concentrating of germs and bacteria and I might adjust my cleaning schedule to ensure that I am killing all the germs possible. Toothbrush holder, not only does this item have the potential to be infected with germs directly from the toothbrushes, but it is an item that is commonly left out on the side and it can harbour some of the bad germs spread by other items housed in the bathroom. It is easy to clean and some brands are dishwasher safe, but check manufacturer’s instructions first. I like to soak mine in bleach once a week. The toilet is an obvious choice with the germs that can quickly build up on the seat. However, it has the potential to spread germs around the bathroom if the lid is up when flushing. To help tackle the germs always put the lid down and wipe the toilet with toilet cleaner on a daily basis and on a weekly schedule perform a deeper clean. The rubber bath mat, the item to stop you slipping, these are the biggest pain out to keep clean. You must hang them to dry after every use and you need to clean them to prevent a massive breeding ground of germs developing. The shower head can quickly become full of nasty bugs that as you shower you are contaminating your body with germs. Cleaning your shower head on a regular basis is important to ensure that you are clean when you come out of the shower too. The handle or faucet of your toilet, this gets touched before you wash your hands and it gets exposed to germs throughout the day. Cleaning this one item at least once a day can cut the potential germs you and your family touch on a daily basis. The area around the drain in your bath, shower or sink will collect germs and bacteria which will grow and spread. It is important to scrub this area down on a weekly schedule to ensure that you are not allowing germs to grow and bacteria to grow. The insides of your bath and sink get exposed to the dirt and germs as you wash them off your hands and body. It is easy for these to stick to the insides of the suite and provide a perfect environment for bacteria to grow. The items you use to wash yourself, they can become full of particles of skin and these can become breeding grounds for germs and bacteria; with items like sponges and loofa’s it is important to check with the manufactures directions on how to keep them clean and germ free. Behind the door is where the dust can collect and this is often high in skin particles and airborne germs spread from the toilet. Sweeping or vacuuming regular in this area will reduce the spread of germs. Light switches, it is important to turn on the light to prevent tripping and not being able to see clearly, for me I have a fear that a rat will come out of the toilet so I will never go in the bathroom without switching on the light. The cord gets touched by many hands and it is not impossible to transfer the germs from one person to the next if all they have touched is the light pull cord. I actually spray and wipe them monthly but I will also replace them every few years to just fight the germs. Therefore, you must keep on top of your bathroom cleaning schedule to ensure you families limited to the amount of germs they get exposed to. I’m not gonna lie, this list grossed me out a little bit 🙂 But that’s one reason why we don’t even have a toothbrush holder; and I totally agree about light switches, I like to wipe all the ones down in the house with a Lysol wipe periodically. This list really freaked me out! But I am a germ freak too 🙂 It added a few areas for me to concentrate on a little bit more. Thanks for sharing on Tuesday Talk! Great information, so important to know! 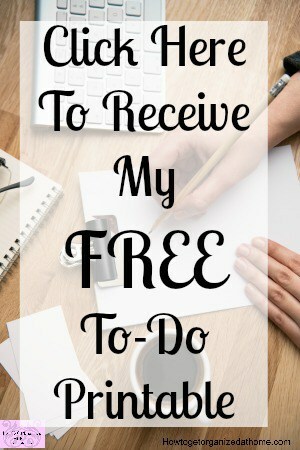 Thank you for linking up on Motivational Monday, hope you will join us again!